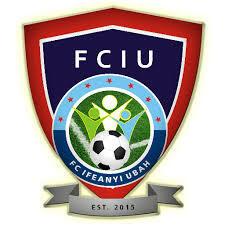 FC IfeanyiUbah have accepted the punishment meted out on them by the League Management Company for abandoning their Nigeria Professional Football League match-day one fixture against Kano Pillars at the Sani Abacha Stadium on Saturday. The Anambra Warriors refused to continue play after 50 minutes of the encounter following sending off of the club's Team Manager, Jonathan Igwe by the centre referee, Folusho Ajayi and alleged biased officiating by the referee. The LMC on Monday imposed a fine totalling N9.15m on the Nnewi-based side for their action. They will also forfeit three points, three goals from the match as well as a further three points from their future games this season. Their Team Manager, Jonathan Igwe was also fined N500,000 and suspended indefinitely from all NPFL activities. "LMCNPFL summary decision in total submission to the jurisdiction of sporting authorities in Nigeria and with total commitment to the growth of the NPFL, we hereby accept the sanctions imposed on us as contained in your letter dated 16, January 2017 and will not be lodging any form of appeal against the decision of the LMC," the Federation Cup and NFF Charity Cup winners stated in a statement on their official Twitter handle on Tuesday. "We pledge to abide by the same and submit totally to the summary jurisdiction of the LMC.
" We regret any inconveniences caused by our actions and commit to abide by the framework and rules of the NPFL. "